Leasing accounts for two-thirds of new solar installations | West Coast Solar, Inc.
As we’ve written before on this blog, leasing and financing options for residential solar energy solutions have made this technology accessible to more families than ever before. New data from the California Solar Initiative (CSI), as analyzed by the U.S. Energy Information Administration (EIA), shows that these programs have been enormously successful with homeowners. The EIA states that two-thirds of new solar installations completed in 2012 and 2013 under the CSI were third-party owned, meaning they were either leased by the resident or installed as part of a power purchase agreement (PPA). What is the difference between these two financing options? Leasing: Much like a car or apartment lease, solar panels can be rented to homeowners over an extended period of time, usually 15 to 20 years. During that time, homeowners pay a small monthly fee, but that fee is offset by the savings that the resident earns from net metering. Homeowners can usually secure these contracts without a down payment. PPA: With PPA contracts, a solar company builds panels on your rooftop and pays for the cost of the project. You then agree to buy power from those panels at a set, affordable rate that is competitive with what you’d pay for grid power. 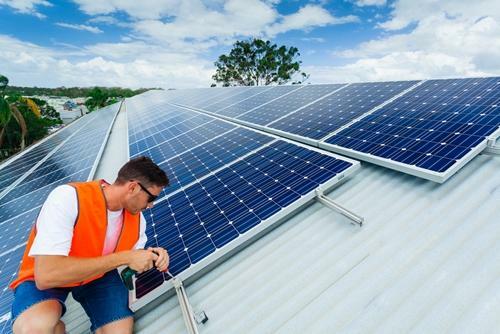 In both cases, the solar installer covers the cost of any maintenance or repair issues that may come up over the life of the system, but these problems are few and far between. If you’re interested in finding out whether your family qualifies for one of these two financing options, give West Coast Solar a call today and we can conduct a free solar site analysis at your place of residence.